Mary Ward (23 January 1585 – 30 January 1645) was an English Catholic nun who founded the Institute of the Blessed Virgin Mary. She was declared "Venerable" by Pope Benedict XVI on 19 December 2009; this is the first of three steps on the path to being declared a saint. 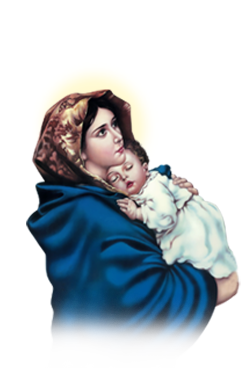 Mary's first word was Jesus which was the sign of things to come. Mary was born at a time of great conflict for Catholics in England. She was born in Ripon and in 1595 her family home was burned down. As the home was burning, Mary and her sisters knelt down and asked the intercession of the Blessed Virgin Mary; the children were saved by their father. In 1599 she moved to the house of Sir Ralph Babthorpe at Osgodby, Selby. It was there at the age of 15 that Mary felt called to the religious life. She entered a convent of Poor Clares at Saint-Omer in France as a lay sister in 1606 and the following year she founded the Convent of Poor Clares at Gravelines a house for English women at nearby Gravelines. However, she did not find herself called to the contemplative life and instead decided to dedicate herself to active ministry, whilst still being a religious; this was considered most unusual at the time. At the age of twenty-four she found herself surrounded by a band of devoted companions determined to work under her guidance. In 1609 they established themselves as a religious community at Saint-Omer, and opened schools for girls. Although the venture was a great success, it was a novelty at the time, and it called forth censure and opposition as well as praise. Her idea was to enable women to do for the Church in their proper field, what men had done for it in the Society of Jesus. The idea has been realized over and over again in modern times, but in the 17th century it met with little encouragement. Uncloistered nuns were an innovation repugnant to long-standing principles and traditions then prevalent. At that time, the work of religious women was confined to prayer, and such work as could be carried on within the walls of a convent. There were other new startling differences between the new institute and existing congregations of women; freedom from: enclosure, the obligation of choir, wearing a religious habit, and from the jurisdiction of the local bishop. Moreover her scheme was proposed at a time when there was division amongst English Catholics, and the fact that it borrowed so much from the Society of Jesus (itself an object of suspicion and hostility in many quarters) increased the mistrust. Measures recognized as acceptable in modern times were untried in hers, and her opponents called for a statement to be made by Church authorities. As early as 1615, the Jesuit theologians Francisco Suárez andLeonardus Lessius had been asked for their opinion on the new institute; both praised its way of life. Lessius held that local episcopal authorisation sufficed to render it a religious body whereas Suárez maintained that its aim, organization, and methods being without precedent in the case of women, required the sanction of the Holy See. Pope St. Pius V (pope from 1566–1572) had declared solemn vows and strict papal enclosure to be essential to all communities of religious women. 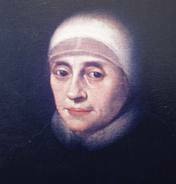 To this law the difficulties of Mary Ward were mainly due, when on the propagation of her institute in Flanders, Bavaria, Austria, and Italy, she applied to the Holy See for formal approbation. The Archduchess Isabella Clara Eugenia, the Elector Maximilian I, and the Emperor Ferdinand II had welcomed the congregation to their dominions, and together with such men as Cardinal Federigo Borromeo, Fra Domenico de Gesù, and Father Mutio Vitya, General of the Society of Jesus, held the foundress in great esteem. Paul V, Gregory XV, and Urban VIII had shown her great kindness and spoken in praise of her work, and in 1629 she was allowed to plead her cause in person before the congregation of cardinals appointed by Urban to examine the situation. The "Jesuitesses", as her congregation was designated by her opponents, were suppressed in 1630. Her work however was not destroyed. It revived gradually and developed, following the general lines of the first scheme. The second institute was at length approved as to its rule by Pope Clement XI in 1703, and as an institute by Pope Pius IX in 1877. At the express desire of Pope Urban, Mary went to Rome. It was there that she gathered around her the younger members of her religious family, under the supervision and protection of the Holy See. In 1639, with letters of introduction from Pope Urban to Queen Henrietta Maria, Mary returned to England and established herself in London. In 1642 she journeyed northward with her household and established a convent at Heworth, near York. She died in St.Mary's school. After her death in Heworth, near York, her companions thought it best not to bury her body near the city centre where she died because of the dangers of desecration. Instead they sought somewhere less conspicuous and found a happy solution by arranging for her to be buried in Osbaldwick Churchyard, about a mile away. There, as the record says, 'the vicar was honest enough to be bribed'! Her burial on 1 February 1645 was also attended by Anglicans. Despite the persecution of Roman Catholics at the time, Mary Ward was much admired and revered by many local people. She was mentioned by Pope Benedict XVI during his UK visit.